Hope you had a fun Christmas feasting & partying! But with all those late nights of wining & dining, you will notice fine lines and dark circles around your precious eye area. 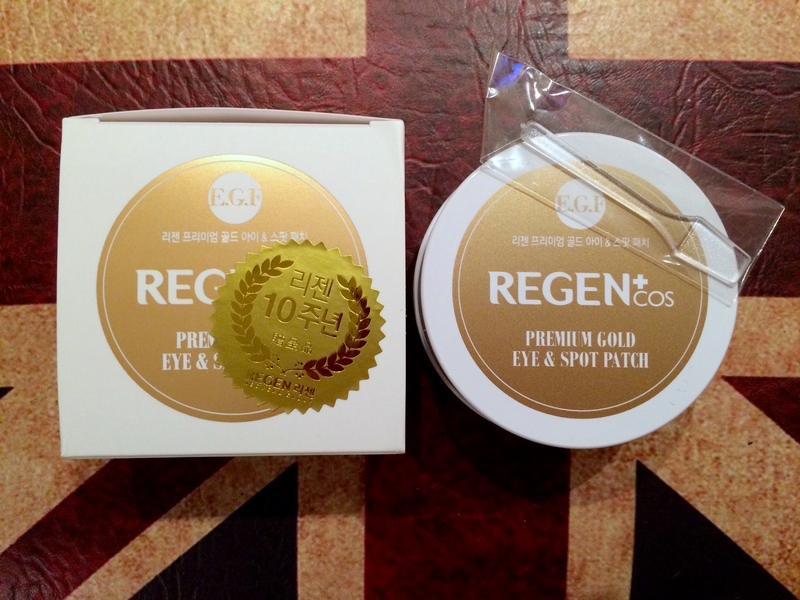 That’s why I’ve been applying REGEN Cosmetic’s Premium Gold Eye & Spot Patch to prevent those late nights from showing. 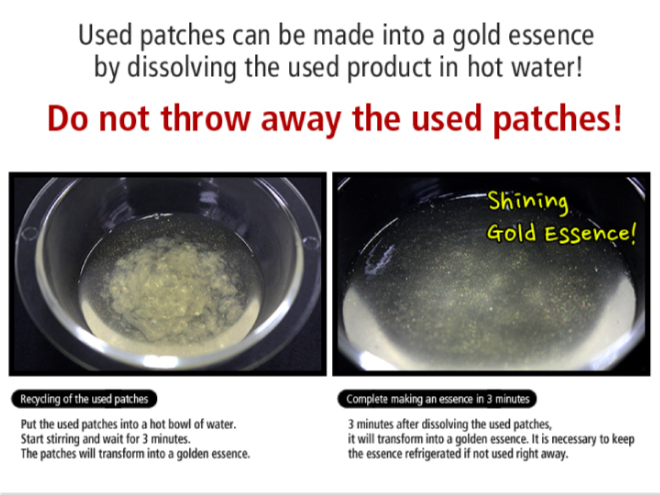 The usage of Gold in skincare products are popular nowadays for its anti-aging properties. But Gold has already been long used by the Japanese, Romans & Egyptians for various skin treatments for its miracle effect on the skin. Cleopatra was known to use a gold mask every night to maintain her youthful good looks! Gold has been known to stimulate the basal cells of the skin, hence reducing fine lines, wrinkles and blemishes, making one’s appearance more youthful. The ions present in gold help stimulate cells, nerves & veins in the body which improves blood circulation which in turn increases the metabolism of skin cells & expulsion of waste. It also prevents premature aging by preventing dryness in the skin. Gold is also known to reduce the production of melanin hence preventing blemishes from Sun exposure. 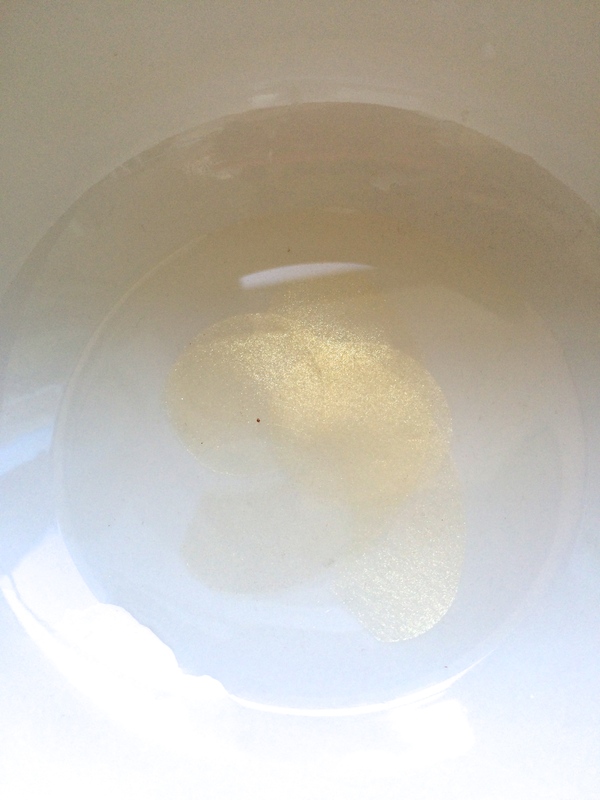 Collagen production is also increased with the presence of Gold. To sum up, Gold is beneficial to our skin in various ways. It slows down collagen depletion, increases skin elasticity, lightens complexion and stimulates skin cells making skin firmer and younger looking. 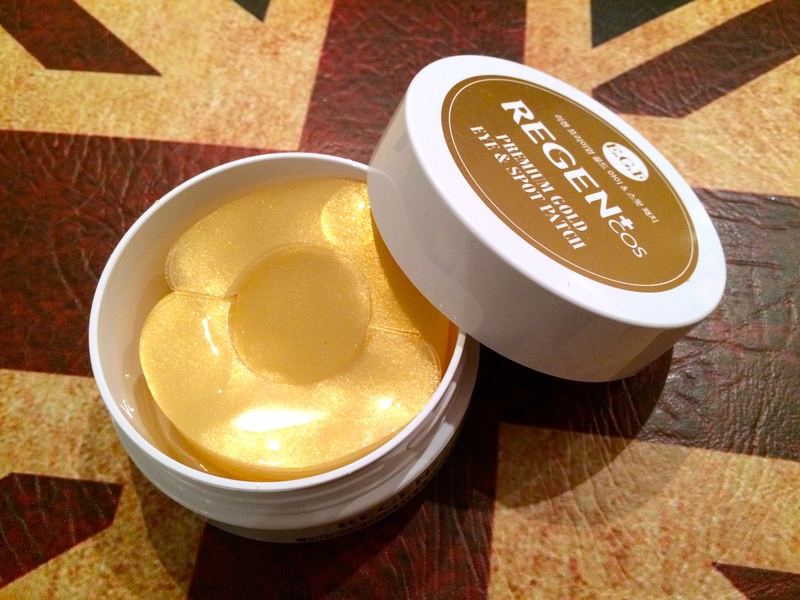 With REGEN Cosmetics’ Premium Gold & Spot Patch, gold is incorporated into its hydrogel patches (Hydrogel reacts to body temperature that closely adheres to the skin and helps the absorption of active ingredients) for its wonderful benefits. It is formulated in gel like patches that is rich in moisture for easy application and maximum cohesion to deliver its essence straight into your skin. The tub consists of 30 pairs of eye patches and 30 pieces of spot patches. 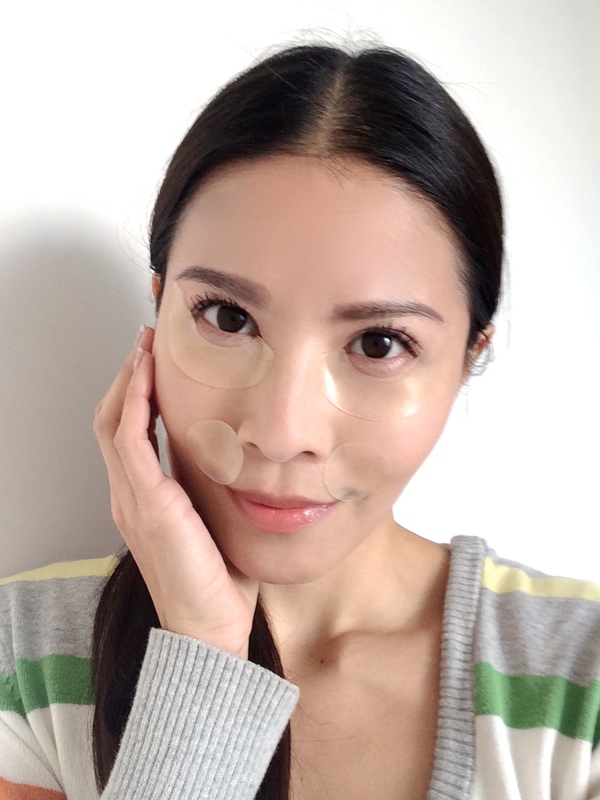 Spot patches can be used anywhere on the skin which requires treatment like between the eyebrows for frown lines, on your forehead for expression lines or as shown in my photo for laugh lines etc. 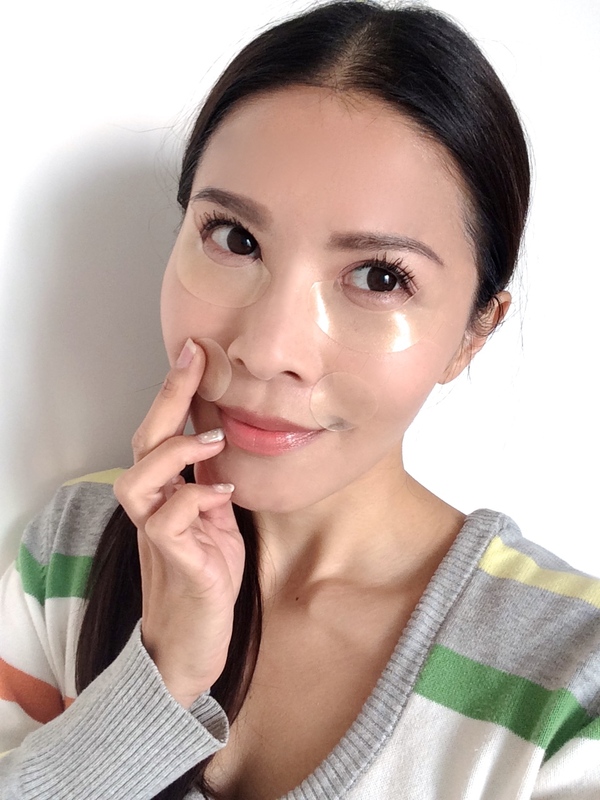 After a 20-30 minute application of the patches, you will notice a visible reduction in volume of the patch as most of the essence has been absorbed into your skin and the fine lines are plumped up appearing less visible. Do not throw away this residual thin film. You can further melt it down with hot distilled water and use the remaining essence on the rest of your face! After the first application I did notice an obvious decrease in fine lines under by eye. Also, the area looked brighter and dark eye rings are less obvious. I have been using this nightly for about a week, and my under eye area has visibly improved in elasticity and looks smoother and less tired. The remaining melted essence is also added onto my nightly regime under my moisturiser acting as a serum. I love it! This is my last post for 2014, so here’s me signing off & wishing everyone a dazzling New Year!! !